How can you spot a Carpet Cleaning Lambeth client? Well, if you’re at party, they’re those hosts who never get stressed about accidents or spills because they know that Carpet Cleaning Lambeth can get the nastiest wine spills and food stains right out of their favourite carpet or furniture upholstery. Our customers who have children are those parents who seem relaxed when their child stretches out on the living room carpet. 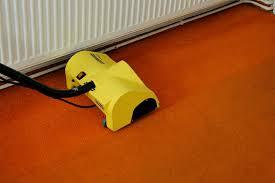 Carpet Cleaning Lambeth clients have the peace of mind that comes with our steam cleaning service. They know that steam cleaning is the only way to get dust mites and bacteria out of carpet fibers and because they’re confident in our work, their children can play on the carpet. While stains and spills are a normal part of entertaining and family life, they shouldn’t leave a permanent reminder on your expensive carpets or upholstery. With an arsenal of the latest techniques and the best detergent products available, the Carpet Cleaning Lambeth team will surprise you with their ability to remove even the most resistant stains. You’ll be glad to know that we only use solutions that are safe, not only for your home and family, but also for the fabric of your carpets or upholstery. Our cleaning technicians have the experience to handle any type of fabric, so you can be sure that you carpet is in safe and capable hands. Whether your carpet is made of wool, cotton, acrylic, nylon, silk, or any combination of fibres, Carpet Cleaning Lambeth can lift offending stains off to reveal the true beauty of your carpet or upholstery. *The costs above are valid about Lambeth. They include the required labour (cleaning hours). If additional time is needed, then supplementary costs will be applied. Minimum charge applies. Quotes over the phone are formed based on the supplied information. While carpet stains are obvious and frustrating for homeowners, another problem with carpets may not be so noticeable. We’re talking about the build-up of dirt, dust, food and other unsavoury elements inside your carpet. If left over time, this dirt can lead to an infestation of insects or the presence of germs. It’s no wonder that many parents feel nervous when they see their young ones lying on the carpet. 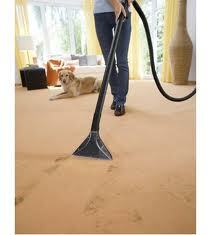 At Carpet Cleaning Lambeth, we believe that the carpets in your home are meant to be enjoyed, not merely walked upon. After all, when you buy a carpet for your home, don’t you run your fingers over the fibre to select the most comfortable material? With our steam cleaning service, your family can walk, sit and even lie on your carpets as you relax in the living room. While hallway and staircase carpeting might not be used in the same way as those in living rooms or bedrooms, if you have toddlers or babies in the house, you know that almost every surface becomes their playground. The purifying properties of steam, combined with a high pressure technique will rid your carpet of all the dirt and microbes leaving you with nothing but clean, comfortable carpet fibers, safeguarding the health of your family. If you’re a Carpet Cleaning Lambeth client, you too will be able to enjoy parties and family time without any worries about stains or harmful dirt because you’ll know that your carpets are in safe hands. To arrange for a home visit from our team, call us today.